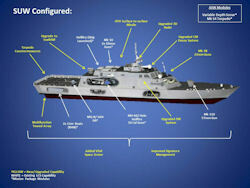 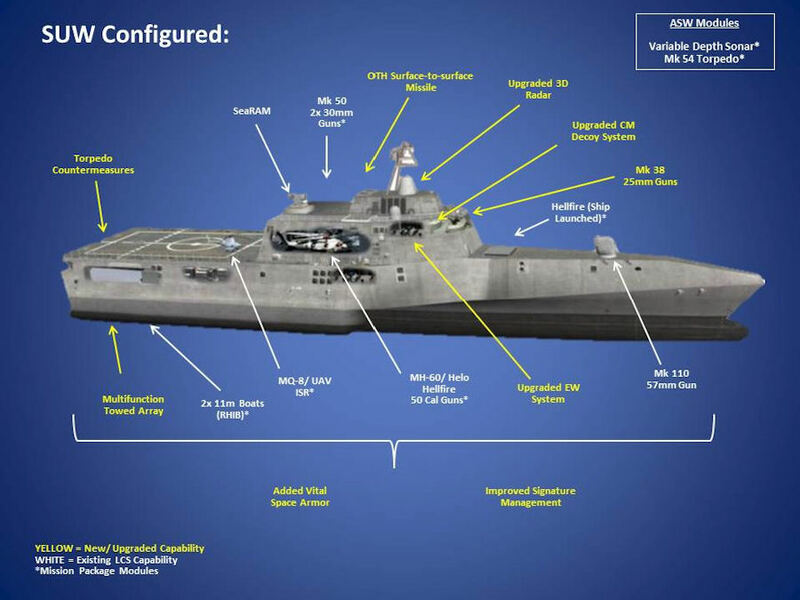 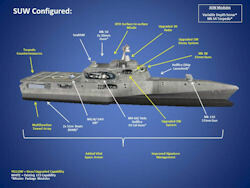 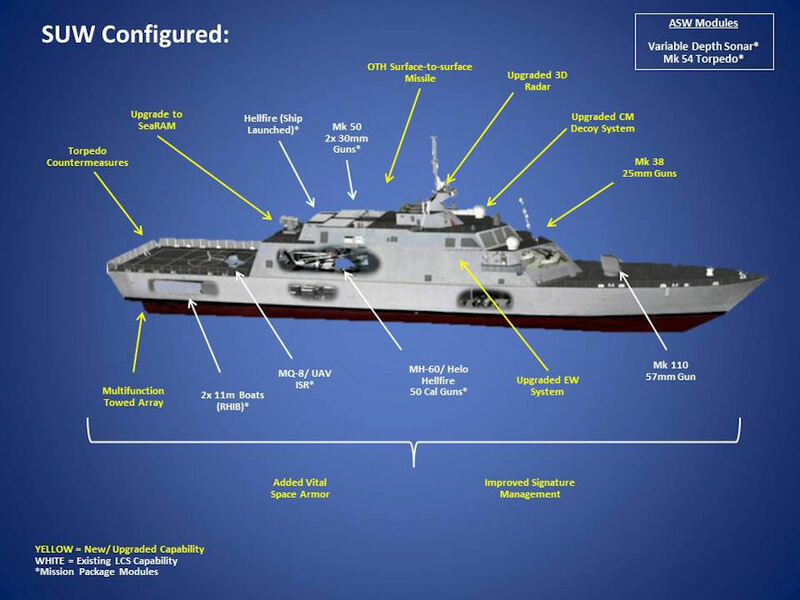 Note 2: Includes Payload - Taking into account the focused mission nature of the LCS, payload is defined as the heaviest possible Mission Package and core mission systems, excluding ship's fuel. 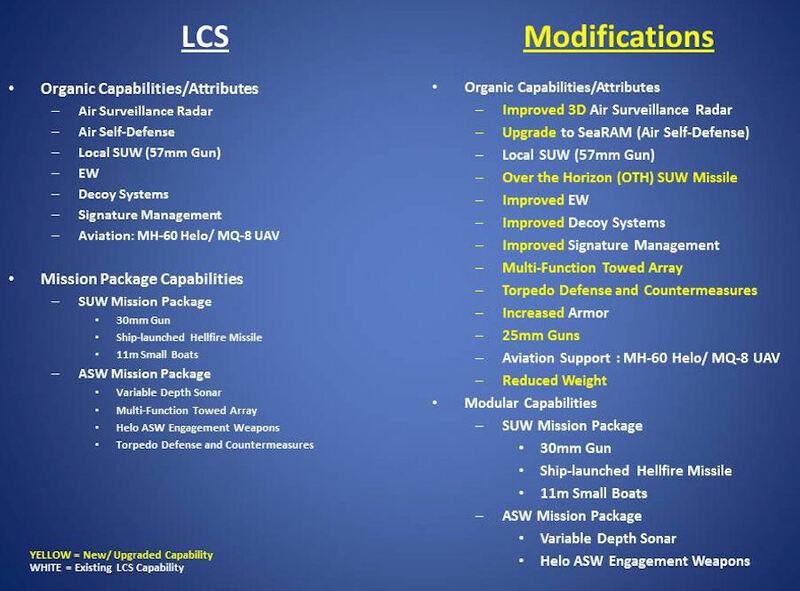 Note 3: Mission package payload is defined as all non-core systems, vehicles, helos, ordnance, and associated personnel, equipment, and containers to perform a single mission. 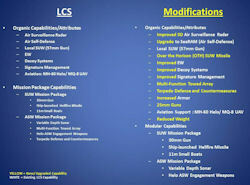 This includes fuels to operate the mission package.